It was a gorgeous day overlooking the rooftop of the Beverly Hilton Hotel, as Debbie Durkin celebrated her 10th annual EcoLuxe Lounge. Ecoluxe honored 2017 Oscar nominees in support of Autism Changes. 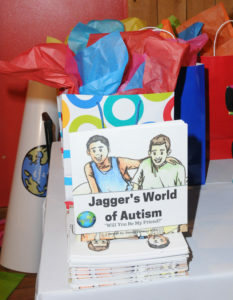 Autism changes is a non-profit foundation bringing awareness to autism communities around the world. Funds from the foundations are dedicated to inclusion programs offering behavioral and educational support for children. Celebrity guests at Ecoluxe included Adrienne Bailon, Alysa Reiner, Cary Steel, Casper Smart, DJ Mae Shay, Janel Parrish, Karina Smirnoff, Keo Motsepe, Mercedes Javid, Shar Jackson, Victor Ortiz, and many more! Celebs and Creative-types enjoyed a brunch curated by Chef Albercio. The farm-to-table European brunch was complete with Piper-Sonoma champagne. Another favorite was Un Jouyau Majestic Ruby (2014) Caberne Sauvignon (Napa Valley). Following the meal, guests enjoyed Coffee Roasters 100% Jamaica Blue Mountain Coffee. After brunch guests were pampered by hair and makeup applications compliments of OC Makeup and Beauty Bar. New York’s Nomad Makeup gifted a metallic eye palette perfect for spring. The Beauty Kitchen excited beauty junkies with its all natural oils, eye gels, and scrubs. The Jamaica Tourist Board gifted island resort stays, while Chariot luggage had guests busy selecting the perfect travel gear. Excoluxe lounge had the best in beauty, travel, food, and fun this Oscars season. 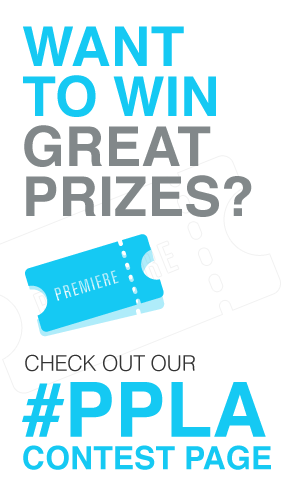 Follow Press Pass LA for the latest in Oscar season coverage.